We’ve progressed quite a bit with the Guest Favorites Garden since we last updated you in August of 2014. 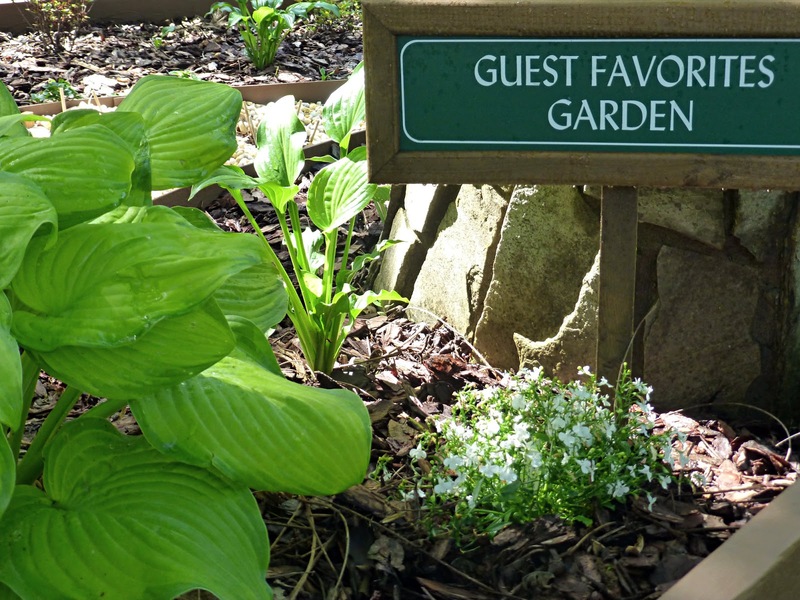 As many of our blog readers know, we created a new garden space (Innkeeper Brigette just can’t stop), dedicated to plants/flowers that our guests love. 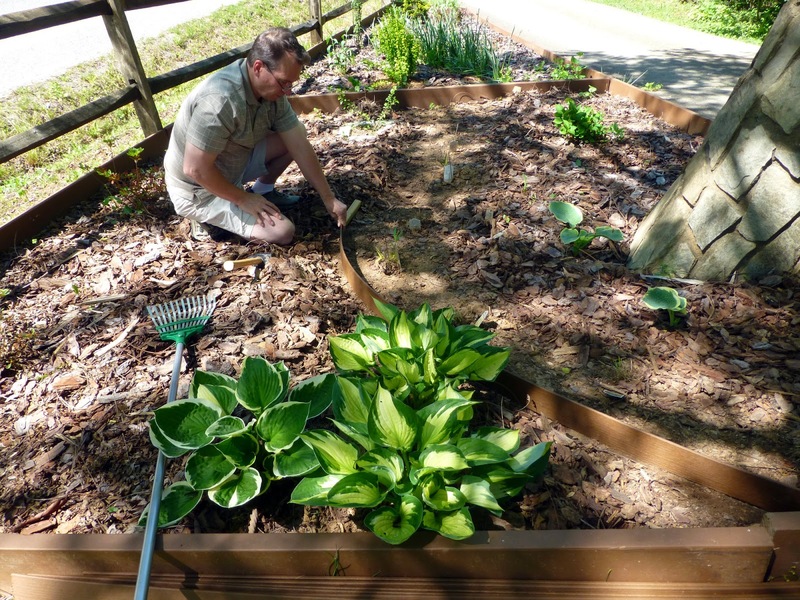 So far this spring, we’ve planted coneflowers and flashy green barberry bushes for the sunny section, and hosta plants, pachysandra, and lobelia for the shady section. Our little quince bush continues to grow, and the young azaleas bloomed in April, much to everyone’s delight. So we’re well on our way, moving toward summer and working on hardscaping. 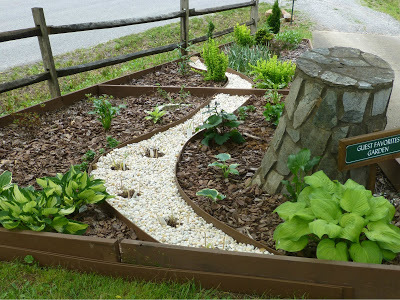 One major transformation has been the design and installation of our green stream, which is a dry creek bed made of pebbles that starts at the high, shady end of the garden, meanders down through the hosta plants and then curves over toward the barberry bushes and butterfly bush in the middle section. Our plan to have grasses with a flowing habit that look like waves cascading down is currently in the reassessment phase…we may have to do some replacement planting this year. 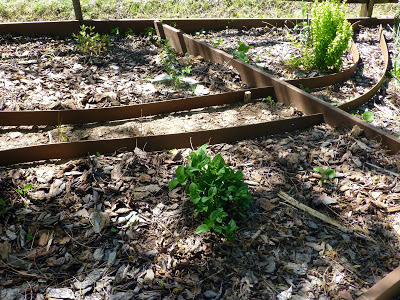 But really, that’s the fun of starting a garden — seeing what does well and finding out what can be improved. It keeps us always thinking of new ways to get creative in our garden spaces. This entry was posted in Flowers at the Inn, Projects and tagged flora and fauna, garden spaces, improvements, Spring by Inn on Mill Creek. Bookmark the permalink.